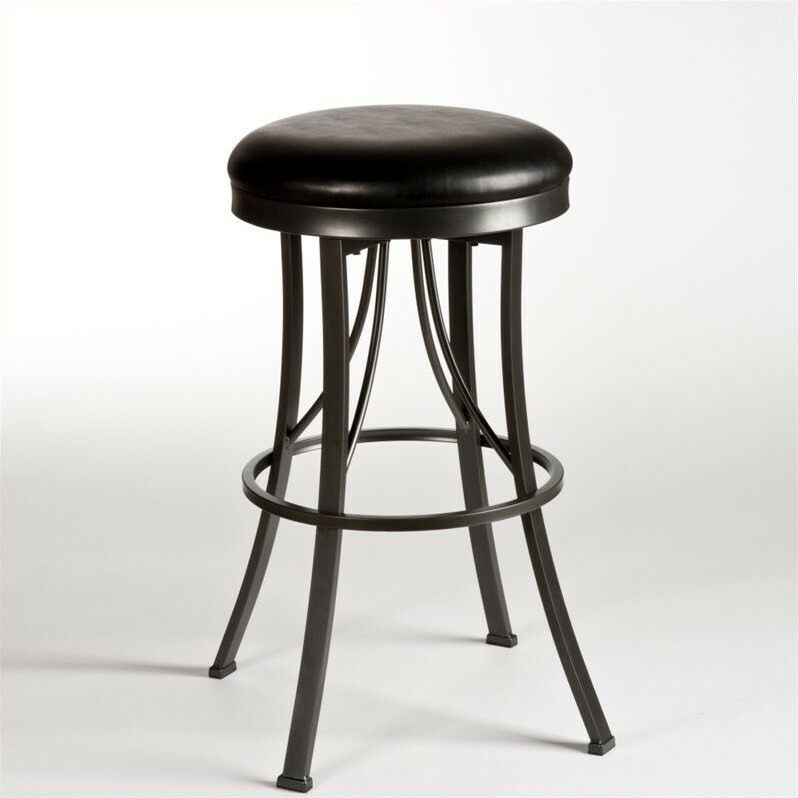 One of the first of its kind at Hillsdale Furniture, the Ontario Backless Stool combines high design with commercial grade support features. Sharply styled and constructed, the Ontario Stool has presence in any room. The Ontario's metal legs are finished in pewter while its 360 degree swivel stool is covered in a glossy black vinyl. Some assembly required.